Protecting the environment is an increasingly important goal for many Americans and others across the globe. The threat of rising sea levels and the increased severity of storms attributed to climate change have made the push toward environmentally sound policies even stronger. There is much being done on the federal, state, and local level to protect the environment, particularly when it comes to plastics. In the USA, cities have banned plastic grocery bags at supermarkets in order to encourage consumers to use reusable bags. Most recently, cities have banned Styrofoam take-out containers and plastic straws. In fact, California became the first state to ban plastic straws from restaurants. It’s no surprise more and more people are asking how they can make changes to save the planet right at home. One of the easiest ways is to identify plastic items that can be replaced by eco-friendly alternatives. That’s where the bamboo toothbrush comes in. Read on to find out how this nifty toothbrush replacement can help the planet and improve your health. Bamboo toothbrushes are made of bamboo and are free of plastics. They feature a bamboo handle and head and bristles made of nylon or natural materials. Bamboo toothbrushes offer bristles in varying textures to suit different dental needs. Bamboo is naturally antimicrobial so you don’t have to worry about nasty microscopic organisms taking root on your brush. Bamboo toothbrush handles are completely biodegradable, but the bristles may need to be thrown out. Bamboo toothbrushes can be made with natural bristles such as castor bean oil or course boar hairs. Castor bean oil is not biodegradable, but it is bio-based and contains far less petroleum than bristles on plastic toothbrushes. Castor bean oil bristles also must still be combined with plastic or nylon, but far less than the amount present in a normal toothbrush. Coarse boar hairs are natural, but may not be the ideal choice for vegans or people who are vegetarian. Make sure to purchase from a reputable brand to ensure the toothbrush is cruelty free. Boar hairs are also hollow on the inside and can become a breeding ground for bacteria, which can cause health problems. It’s best to sterilize these toothbrushes every few days by boiling them in water. Some companies sell toothbrushes that claim to be 100 percent bamboo bristles. Unfortunately, these are too good to be true. Bamboo itself is not soft enough and breaks easily, making it unsuitable for bristles. Bamboo bristles are often blended with plastics to make them more pliable. Initially, the most common bristles on bamboo toothbrushes were nylon bristles. They are typically made of Nylon-4, a petroleum-based product that has been shown to be biodegradable. Nylon-4 breaks down in sludge or compost in about three to four months. Nylon toothbrushes today can be made of various different types of nylon. As this is an emerging industry, nylon-4 isn’t as widely produced as other varieties. Many companies purport to have Nylon-4 bristles, but use other types of nylon that are not biodegradable instead. Many companies source their materials from China where enforcement of plastics labeling isn’t strict. Make sure to verify the nylon in your bamboo toothbrush is actually nylon-4. 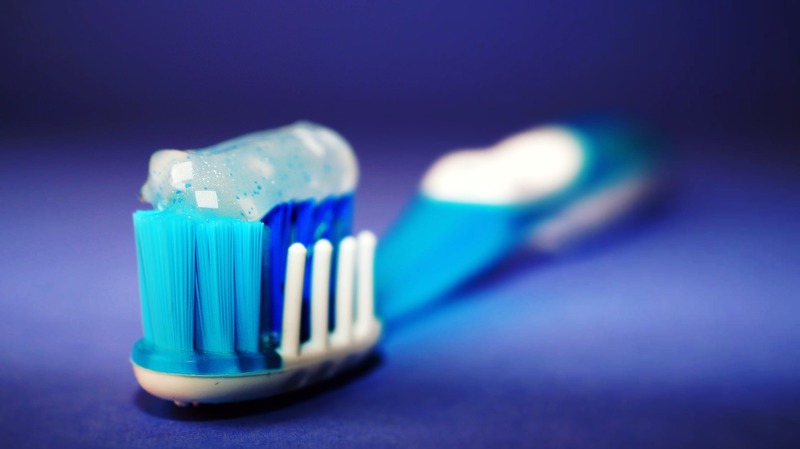 There are very few toothbrushes on the market today that have been proven to use nylon-4. Nylon toothbrush bristles also tend to be softer than the alternatives. The soft bristles are great for people who have sensitive gums or teeth. The soft toothbrush bristles are also ideal for children’s toothbrushes. 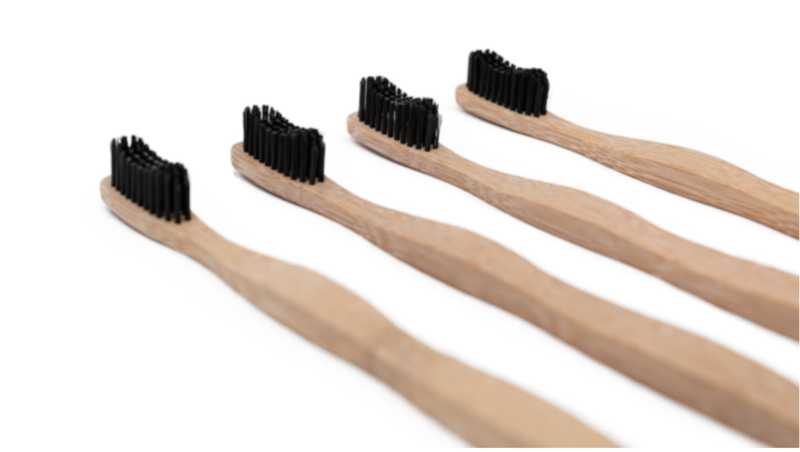 Charcoal-infused bristles remove bacteria by absorbing and binding bacteria microscopically. This is different from traditional toothbrushes that are used to sweep away plaque and food particles. Charcoal also boasts exceptional teeth whitening capabilities as it absorbs tannins and other compounds that stain teeth. Bamboo toothbrushes are made of bamboo—a fast growing crop that isn’t susceptible to deforestation. Bamboo can grow in close proximity and its shoot scan grow three feet every day. Plastic toothbrushes sit in landfills for centuries since they don’t decompose easily. They emit toxic chemicals that can leach into groundwater and soil. On the other hand, bamboo biodegradable toothbrushes decompose naturally and offer habitat for insects and other creatures during the decomposition process. They don’t contain harmful chemicals and can often be recycled into other objects. You can also toss bamboo toothbrushes in the compost pile. Most environmentally conscious biodegradable bamboo toothbrushes are BPA-free. If choosing a nylon brush, make sure to check that the manufacturer uses BPA-free nylon. While they aren’t completely zero waste, they contain much less plastic that ends up in landfills. Bamboo toothbrushes are available in multiple colors so you can easily tell which one belongs to you. Pick a toothbrush with colored bristles such as the blue, yellow, or pink ones available from the Humble Co. You can also opt for natural toothbrushes that are numbered like those from Wowe, to help you identify which one is yours. Whatever one you choose, you’ll love that you get great dental care and eliminate bad breath while supporting the environment. Photo courtesy of Mother's Vault. 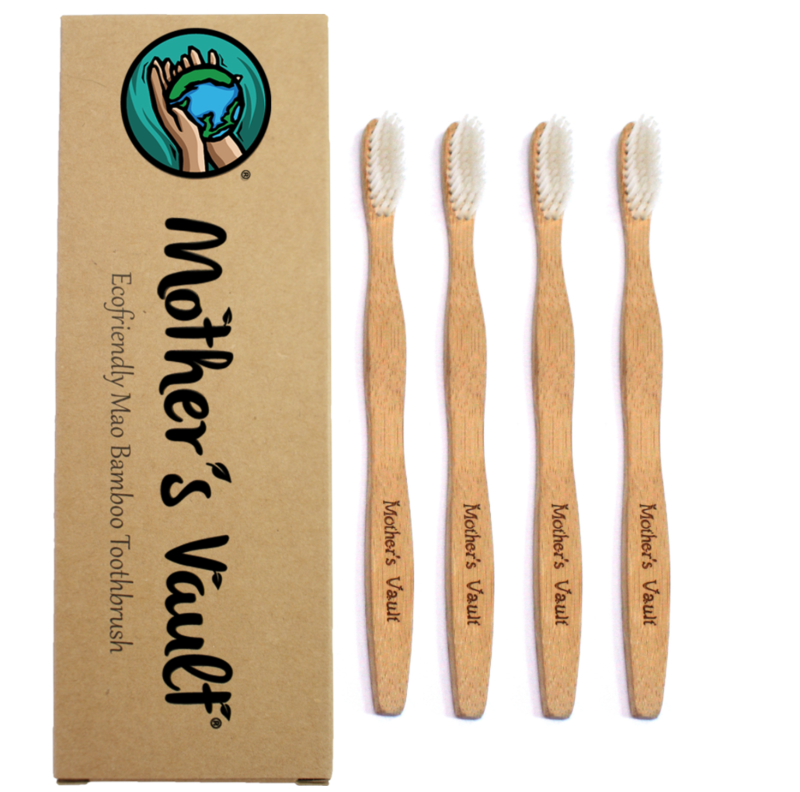 Mother’s Vault offers a biodegradable bamboo toothbrush with BPA-free nylon bristles. The bristles are not biodegradable and should be removed before the handle is added to compost. The toothbrushes come in compostable packaging to reduce plastic waste and are available on the Mother’s Vault Amazon page. The brush is lightweight with delicately curved edges to make gripping it comfortable. 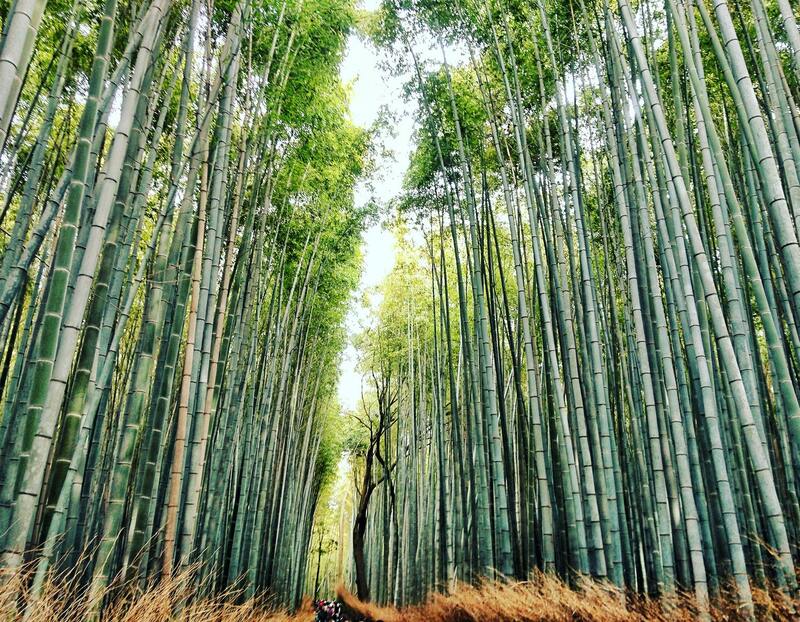 The bamboo is coated in beeswax to prevent splintering and increase longevity. Mother’s Vault also donates a portion of each sale to Earthjustice—a nonprofit environmental law charity that advocates for environmental causes. This toothbrush is made of a bamboo handle and base and nylon bristles. The nylon bristles cannot be composted, but they are recyclable. The nylon bristles are BPA and chemical free. 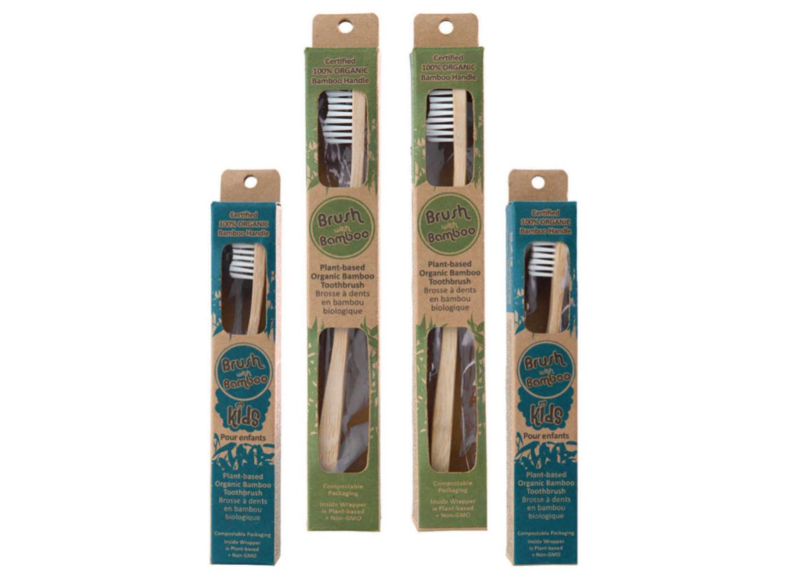 The toothbrushes are available in packs of four and come in 100 percent plastic free and zero waste packaging. 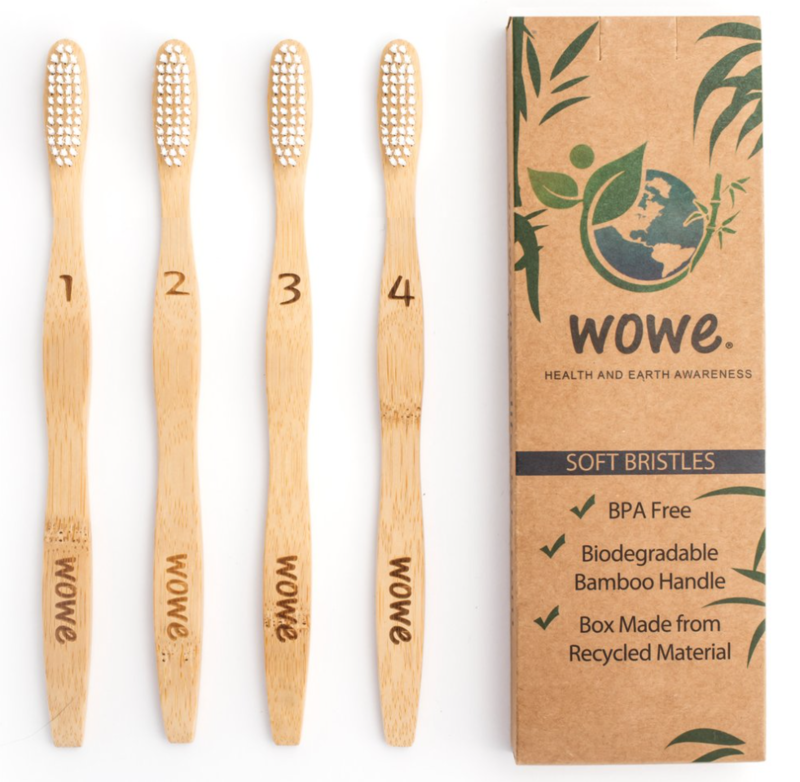 Wowe recommends replacing bamboo toothbrushes every three to four months based on clinical studies that show normal wear and tear begins to reduce effectiveness after this point. Photo Courtesy of The Charcoal Toothbrush. The Charcoal Toothbrush is headquartered in Australia and offers free shipping of their charcoal-infused toothbrushes worldwide. The charcoal bristles help whiten teeth and are naturally antibacterial. 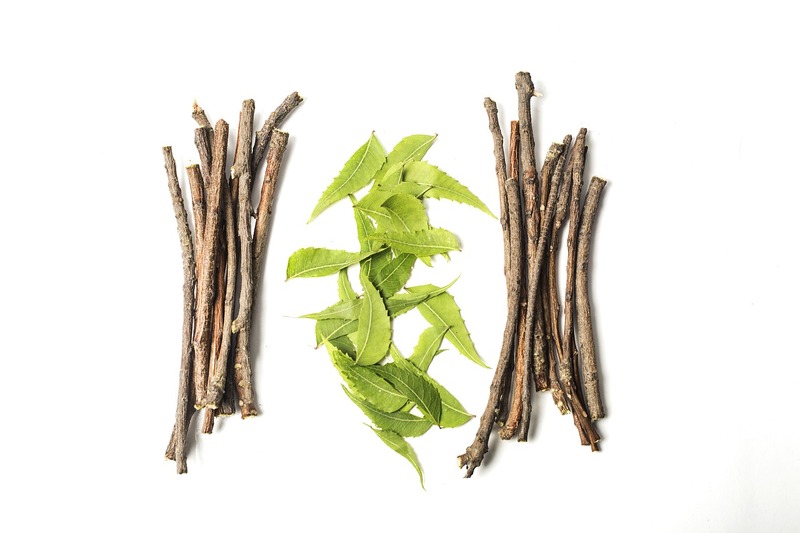 The charcoal also balances pH and helps to eliminate odors. The bristles are made of nylon and are not compostable or biodegradable. You can use any kind of toothpaste with this brush and it is 100 percent vegan. The bamboo handle is sourced from Mao bamboo in China’s forests. The brush is available in two sizes—small and medium— to suit your preferences. Photo courtesy of Gaia Guy. 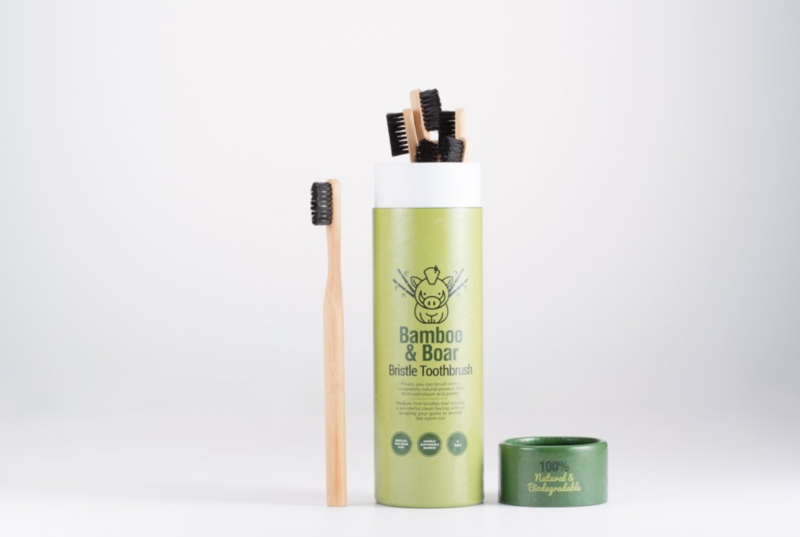 Gaia Guy offers a bamboo toothbrush with natural boar bristles. The bristles are boiled to make them straighter. These bristles are less abrasive than nylon options, making them ideal for sensitive gums. The toothbrush comes in a stunning package that is a simple paper tube. Photo courtesy of Brush With Bamboo. Brush with Bamboo offers a bamboo toothbrush that is completely plant-based including the wrapper, box, and handle. Brush with Bamboo is one of the original bamboo toothbrush manufacturers. The brush handle is certified 100 percent bamboo and the toothbrush is vegan, non-toxic, and BPA-free. The handle is made of wild Moso bamboo and grown completely without pesticides or fertilizers. The bamboo plants used for the brushes are watered only using natural mountain rain, further preserving precious resources. This brush features plant-based bristles made of 62% castor bean oil and 38% nylon produced in the USA. This brush currently contains the lowest percentage of nylon bristles on the market. The bristles—along with all other current bamboo toothbrush offerings besides boar hair—are not biodegradable. If you really want to make a difference for the environment, pay attention to the packaging your bamboo toothbrush comes in. Look for brands that sell bamboo toothbrushes in a cardboard box rather than plastic. Some brands run special offers where they combine multiple toothbrushes to reduce packaging. Buying in bulk helps to minimize the materials used in shipping. Try something new and brush with bamboo. Replace your worn out toothbrush with an eco-friendly toothbrush that doesn’t sacrifice quality. The natural bamboo handles feel soft and smooth and won’t pollute oceans, rivers, and lakes. Unlike a plastic brush, you can compost or recycle your natural bamboo toothbrush. Make a difference and complement your oral care by starting with a new toothbrush made of bamboo.